The upper level has two good sized bedrooms with plenty of windows for light and ventilation. Each bedroom has a full bath. 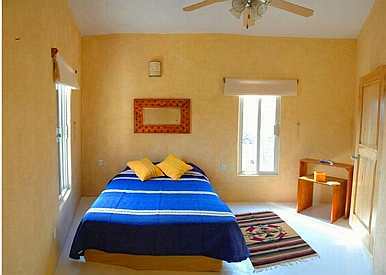 Inbetween the bedrooms is a wonderful palapa covered sitting area (see page 4). Stairs lead to a rooftop area with a spectacular panoramic jungle and ocean view.